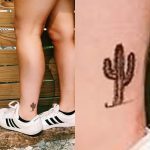 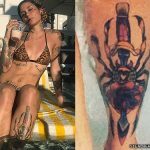 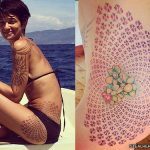 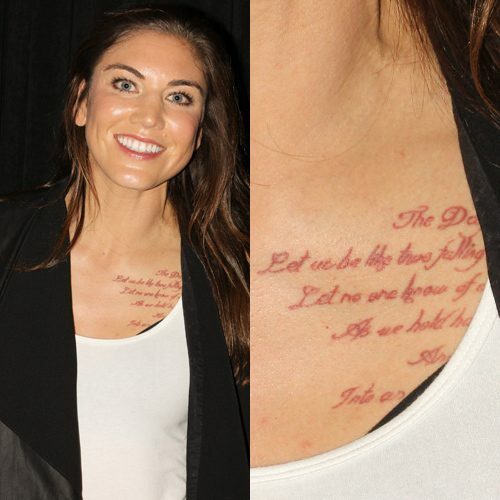 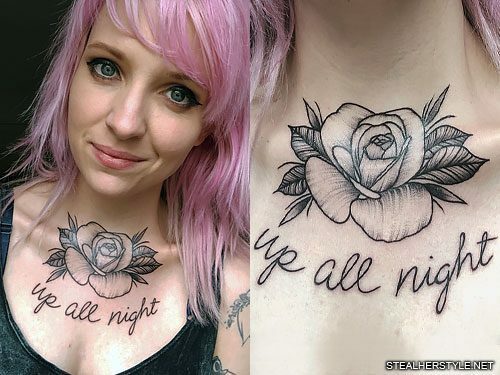 Annalisa Scarrone has a seashell tattoo on her chest. 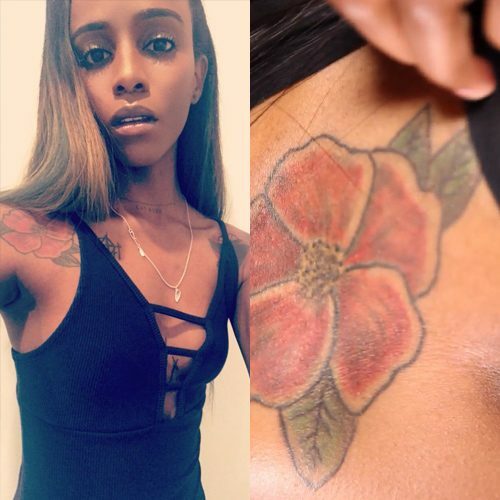 Angel Haze has a hibiscus flower on her chest. 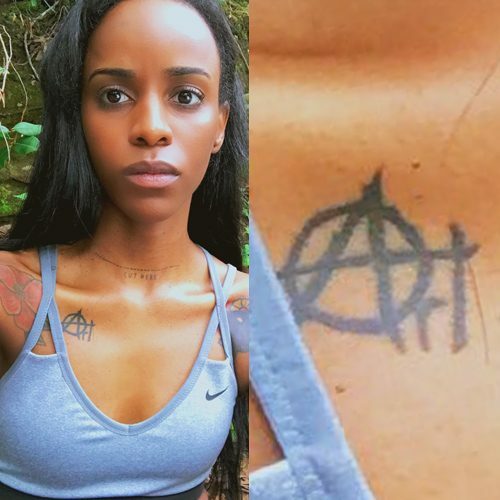 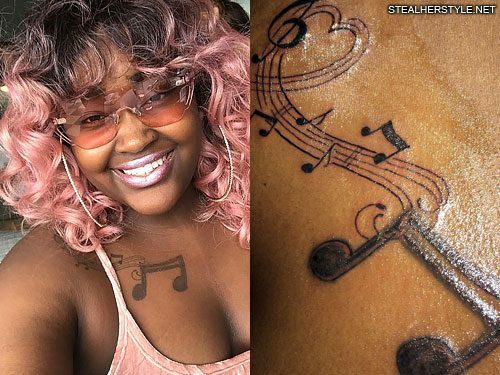 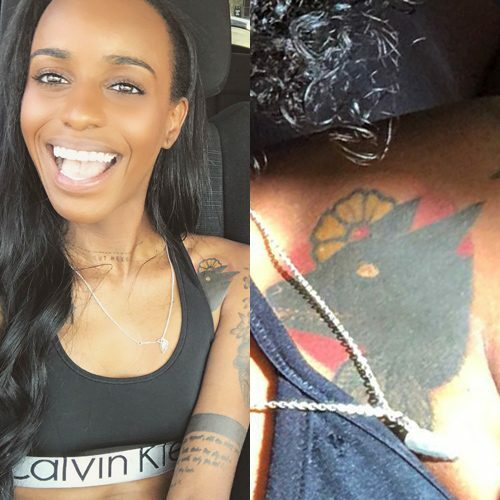 Angel Haze has a tattoo on her chest with the word “Art” with anarchy symbol on her chest – matching with producer TK Kayembre. 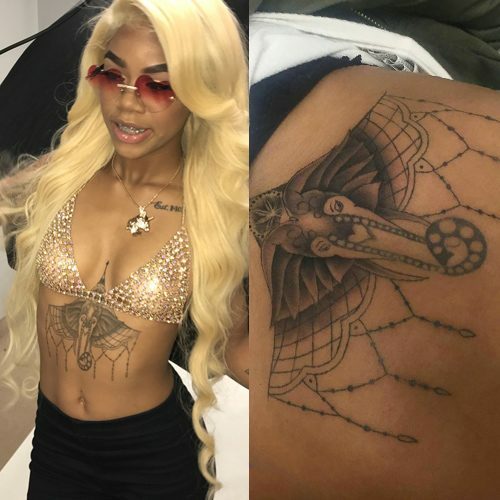 Erica Mena has a red heart tattoo with the message “Trent R.I.P.” on the left side of her chest.